Summer may be gone but that doesn’t mean we have to put hats and sunglasses away. The hats get a little warmer, but the combination with a pair of sunglasses still makes a stylish and chic outfit even in the fall! Plus they look great with that favorite fall sweater! 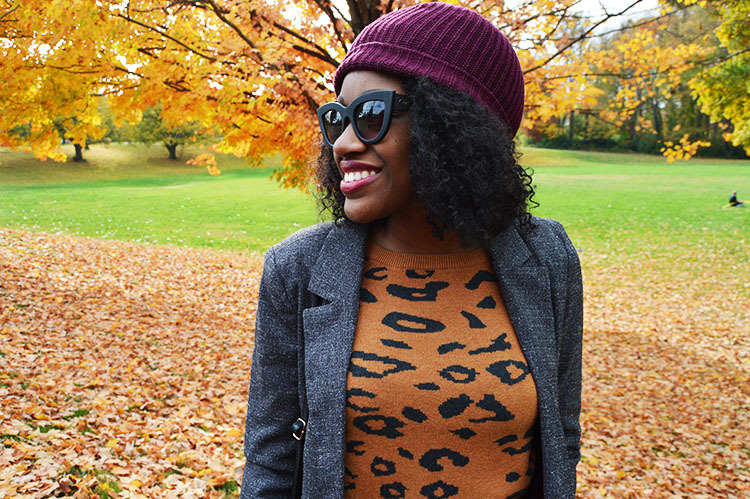 My cheetah print sweater from Target will certainly be becoming a fall favorite. A few weeks ago I took a trip to Target to shop their buy one get one 50% off sweaters, and this was one of my picks! 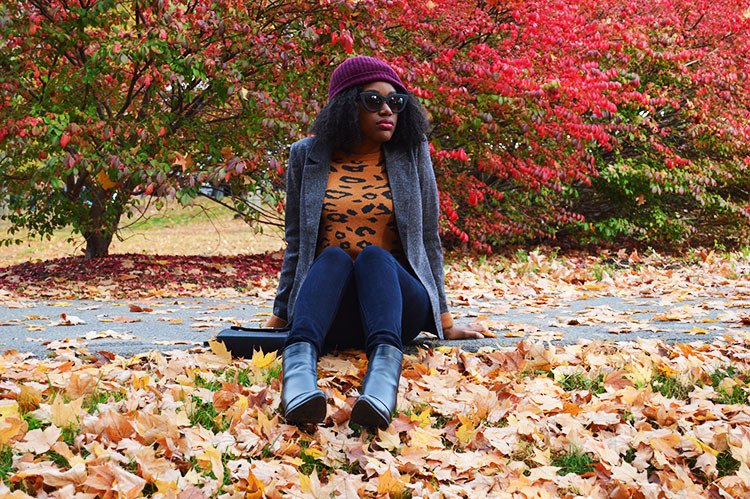 I love animal print in an outfit, it brings a lot of fun to the look. Not only did I want to have fun with this look but I also wanted to bring some fall colors. When I saw this beanie hat in Forever 21 this weekend for only $4 I knew it was the perfect compliment for the sweater. Burgundy is definitely one of my favorite fall colors, it just looks so great! There are so many types of hats to wear or try for the season. I say try them all and have fun with it! Although fall can sometimes be a little chilly, the sun still makes its presence known and I love when it does. Today was one of those days, so I had to bring out my Quay cat-eye sunglasses that scream fashion whenever I wear them. I’ve featured below some sunglasses from Salt City Optics, a boutique eyewear company, that would look great with a similar outfit or just for fall in general. They have an amazing collection of prescription and non prescription sunglasses that I’m sure you’ll love! 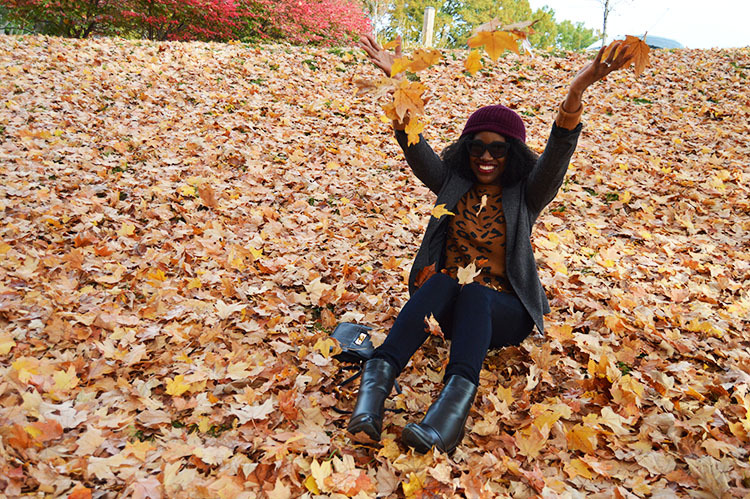 Your fall outfit is only complete if you have the perfect boots! It’s something about a good pair of boots that can just bring an outfit to its full potential of chicness. These beauties featured happened to be on clearance at Target for only $31.48, so you know I had to purchase them. Ever since I’ve bought them I’ve been wearing them with just about everything, even my halloween costume last night (See what I wore for Halloween on my Instagram page.) They’re irresistible! 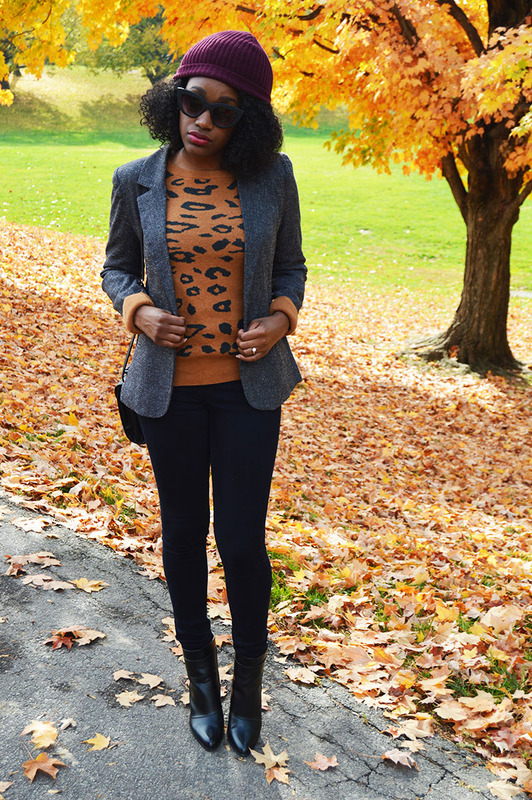 Throwing on a blazer completes the look and pulls everything together, to create a timeless fall outfit! (DJS & STYLE tip of the day: Don’t put your hats and sunglasses away just yet!) 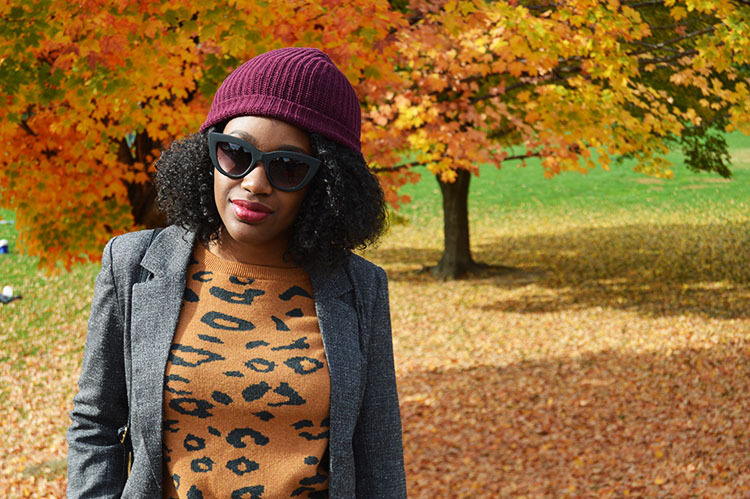 How are you styling hats and sunglasses this season? 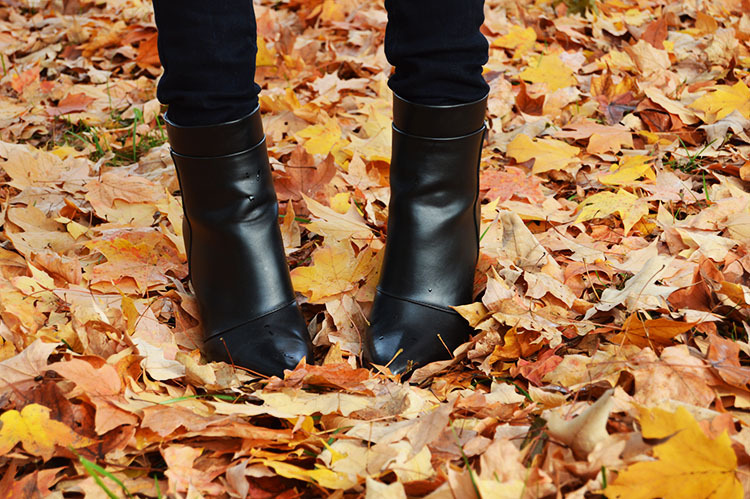 Fall Shoe Rotation – Include These Styles! Love that pop of print! You look fab! Such nice quality pictures too. Yes I can’t get enough of them and the price was perfect! Thanks so much!